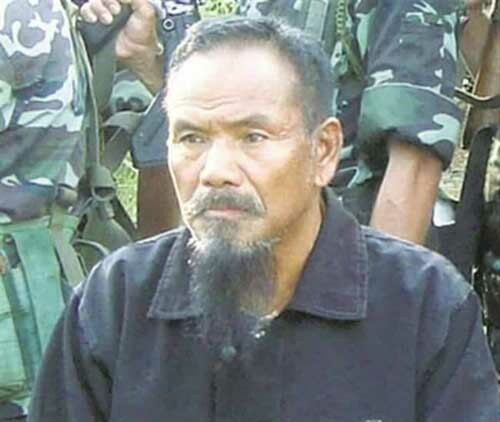 Ousted NSCN (K) chief Khango Konyak has sent feelers to Delhi for inclusion in the Naga peace process and got a positive response, sources close to Konyak said. Konyak’s breakaway faction, now camping in Nagaland’s Mon district, said in a statement this week that it was keen to enter into a ceasefire with Indian forces, saying it was positively responding to an appeal for peace by the Indian government and the Nagaland government. Sources in the union government welcomed Konyak’s decision terming it as “most welcome “. “It is the NSCN (K) which reneged on the ceasefire agreement ….. now if they want to resume it, we have no objection,” a senior Union government official involved in the Naga peace process told Northeast Now. It seems the centre is keen to stabilise the Naga peace process by resuming the ceasefire with the K faction led by Khango Konyak though some top Indian Naga fighters remain with the K faction led by the Burmese Naga leader Yung Aung as a result of which periodic violence cannot be ruled out. The Khango faction has lashed out at the Aung faction, blaming it for the “illegal and unconstitutional impeachment of Konyak as the chief of NSCN (K). It also alleged that the Aung faction had betrayed the Naga cause by joining the Nationwide Ceasefire Agreement (NCA) in Myanmar. Delhi has long wished that the K faction of NSCN remains confined to Myanmar political space and seem to welcome that prospect as the Indian element of the faction has broken off and shown interest in joining the Naga peace process in India. Now with Khango falling on track, Delhi would be keen to push Myanmar to absorb the Aung faction in the Burmese peace process and ensure that they stop sheltering other Northeastern rebel groups in Myanmar’s Sagaing region.